John Wick: Chapter 3 isn’t going to be out until May next year, but the buzz around the movie is palpable as fans eagerly await any type of news about the production. Although Halle Berry has been confirmed as part of the cast for some time now, a recent photo of what appears to be her character, Sofia, walking in The Continental has reignited the buzz around the movie. 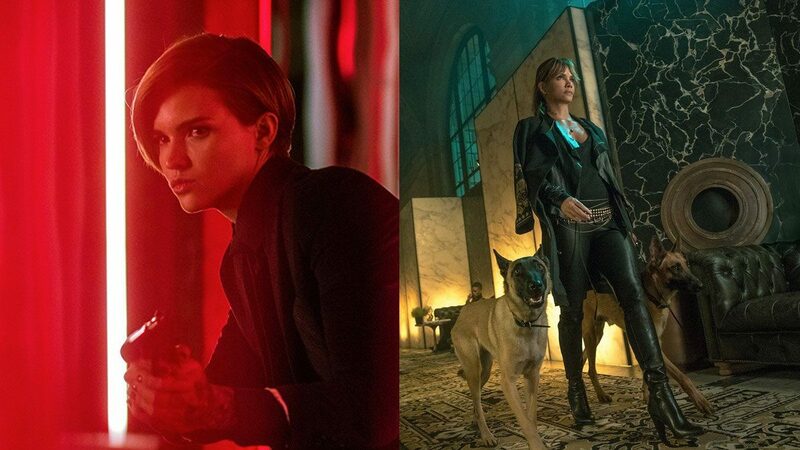 The John Wick franchise is no stranger to strong, beautiful women—from Ms. Perkins (played by Adrianne Palicki) in the first installment to Ares (played by Ruby Rose) in the sequel. John Wick: Chapter 3 looks to continue the tradition by adding more femme fatales after our favorite dog-loving assassin. Although not much is known about Halle Berry's character, Sofia, she is expected to be one of the new flock of assassins after Wick, who we last saw running for his life with a $14 million bounty on his head. The Billions star joins the cast presumably as another assassin. Returning to her role as Ares is Ruby Rose. We'll have to wait for the movie to come out to find out whether she stands with, or against Mr. Wick. The legendary Ms. Houston plays The Director, described as the leader of a group of assassins out to get John. Will she be the main antagonist in the film? Although Ms. Perkins never made it past the first movie, she deserves special mention for starting the tradition of strong, deadly, and beautiful women of Wick.